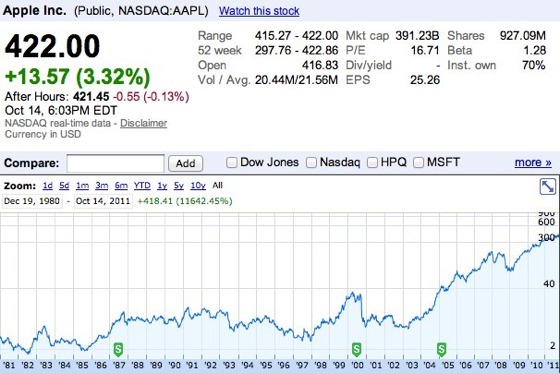 Apple’s stock closed at its highest price ever, closing at $422.00 as Sprint and AT&T announced record iPhone sales. It wasn’t an all-time high price for the stock, however. That was reached during intraday trading three weeks ago on September 20, at $422.86. Apple’s fourth quarter earnings will be announced next Tuesday, October 18th at 4:30PM.